Here us Some Information about Yellama Devi Temple in Saundatti Karnataka India. Yellama Devi Temple is located on top of a hill near Saundatti town Belgaum district ,Karnataka.The Renuka Devi Temple, or Yellamma Devi Temple (as it is more popularly known), is the most famous pilgrimage spot in Saundatti.Yellama Devi Temple is also known as The Renuka Devi Temple.The temple is dedicated to Goddesss Renuka also called as Yellamma and other deities are Lord Ganesh, Mallikarjuna, Parashurama, Eknaath and Siddheshwara .People believe that the Goddess Renuka Devi is very powerful who eradicates and punishes ego at the same time more considerate about Human beings as her own children.Saundatti Yellamma Temple is built in the Chalukyan and Rashtrakuta Style of architecture and the Carvings indicate the Jain architecture.Shree Renuka or Yellamma devi temple, Bengaluru is not just the place for sightseeing, but it also enables you to steal a self-indulgent moment for yourself as well. So, check out the shree renuka yellamma devi temple tourist spot for all the attractions that is on offer and visit this spot on weekends for a rejuvenating time.The Yellamma Temple is managed by the Government and it has made all provisions such as dharamshalas (free lodges), health centers and other facilities for devotees to feel at home. The Yellamma Devi Fair is held every year at the Yellamma Devi Temple at Saundatti.The most surprising and intriguing fact is that thousands flog to the Yellama Temple to offer themselves to the age-old "Devdasi" system. 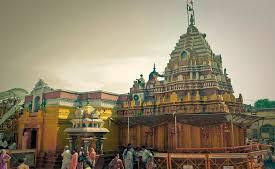 The fair is organised five times between November and February, where jogathis (female) and jogappas (male) are taken in for God's service. 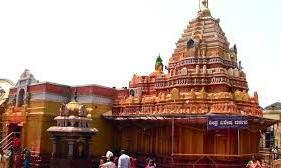 Yellama Devi Temple was constructed in 1514 by Bommappa Nayak. 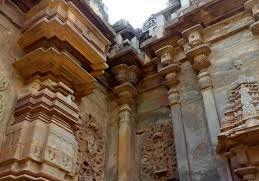 It is built in a combination of Chalukyan and Rashtrakuta styles. There are smaller temples for Ganesha, Mallikarjuna, Parashurama, Eknaath and Siddheshwara in the temple courtyard. The Government now takes care of the temple management. The Yellamma Temple was constructed by Bommappa Naik of Raybag in the year 1514. The temple has shrines for Lord Ganesha, Mallikarjun, Parshuram, Eknath, and Siddheswara and many more. Ardent devotees from Maharashtra, Goa and Andhra Pradesh come to worship during the time of Jatras that are held twice a year. Legend has it that Goddess Yellamma, or Renuka Devi was the daughter of the King Renuka Raja. The king had performed a yagna or a ritual to maintain peace, health and harmony. The Gods, who were pleased with him, blessed him and bestowed on him a girl child through the yagna. 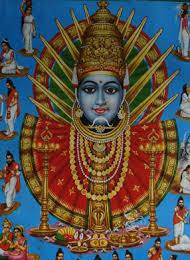 When Renuka Devi was just 8 years old, Saint Agasthya advised the king to get his daughter married to Saint Jamadagni. Jamadagni and Renuka Devi got married and they went to live in the Ramshrung Mountains. Renuka was a dutiful wife and helped Jamadagni in performing his daily puja and rituals. She used to wake up early, bathe in the Malapahari River, fill a pot with water which she used to make out of the sand near the river and then hold a snake and use it as a convolution to help hold the pot on her head, and use the water to assist Jamadagni in his rituals. Eventually Renuka Devi gave birth to five sons, and Ramabhadra was the youngest and the most beloved of the lot. He was a devout son and he procured the blessings of Lord Shiva and Parvathi and they gifted him with the Ambikasthra and hence he was known as Parshuram. He destroyed evil Kshatriyas who were troubling innocent saints. Once when Renuka Devi went to bathe in the river, she noticed some Gandharvas playing in the river and she fell into a reverie thinking of herself playing in the river with her husband. For a brief span, she had lost her concentration and devotion and found herself unable to shape a pot out of the river bank clay. Nor was she able to convolute the snake to hold the pot. When she returned home empty handed, Jamadagni cursed her angrily and asked her to leave the place. After being cursed by her husband, she ventured towards the east and sat in deep meditation. In her dream, she met the saints Eknath and Joginath who advised her to on what to do for three days, to appease her husband. They advised her to bathe in the nearby lake, and worship the Shiva linga they had given her. Then she was asked to go to the city and collect rice from the houses there. After collecting the rice, she was told to give them half of it, and then she was instructed to cook the remaining half of the rice with jaggery and to partake of it with full devotion. After three days of this ritual, she was supposed to return to her husband; they promised her that she would be eternally united with her husband and humanity would start worshipping her. Just as they had instructed, Renuka, after performing these rituals, returned home on the fourth day. Jamadagni was still angry and he ordered his sons to behead her. While all four resisted, their father cursed them to turn into eunuchs. Parshuram obeyed his father and beheaded Renuka Devi but her head started multiplying and spreading in various directions. 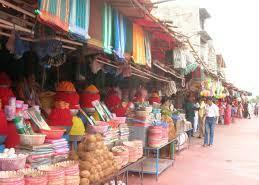 Shri Yellamma Devi fair at Saundatti is held about 5 times between October and February. But the largest is the one held on the full moon day of Margasira.Yellamma Devi FairThe Yellamma Devi fair is held at the Yellamma temple located in Saundatti of Belgaum district. The Yellamma temple is the shrine of Yellamma Devi or Renuka, wife of Sage Jamadagni. The temple is located atop a hill known as Yellammagudda. During the Yellamma Devi fair, women become Devadasis or slaves of God. This age-old practice has been dubbed as religious prostitution by NGOs and other social organizations. More than 30 thousand devotees from Raichur, Bellary, Bagalkot, Bijapur, Gulbarga, Bidar, Belgaum and various districts of Maharashtra, Andhra, Madhya Pradesh and Goa participate in the Yelamma fair and the car festival. By Road : There are many public and private vehicles available to reach Yellama Devi Temple Saundatti . Saundatti is well connected with road network. Saundatti Yellamma Temple can be reached from all places.The KSRTC buses available to react there. By Rail : The Nearest Railway station is Dharwad Railway statio.Dharwad Railway station is well connected all major railway station. By Air : The Nearest Airport is Belgaum Airport and Hubli Airpore. Today temple timing has been changed. Eve 4 to 6.30 darshan closed.